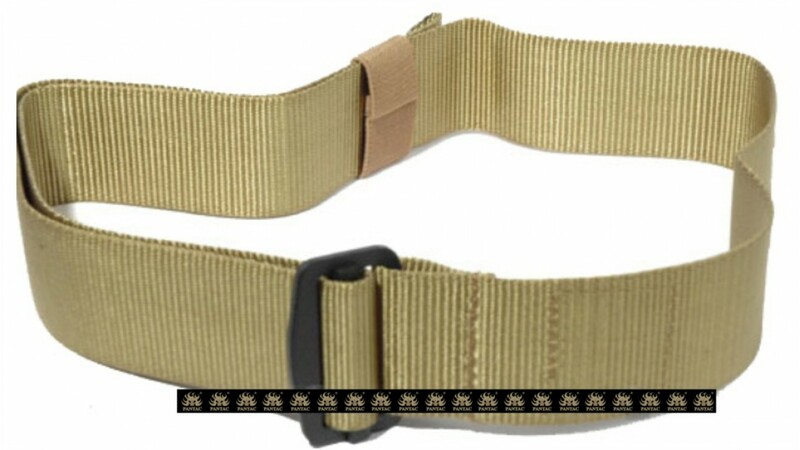 This belt is a lightweight 1 3/4" wide belt with a metal friction adapter buckle. It cinches down tight and has an elastic keeper. Great fit for jeans, BDUs, etc. Fit waistline up to 148cm.